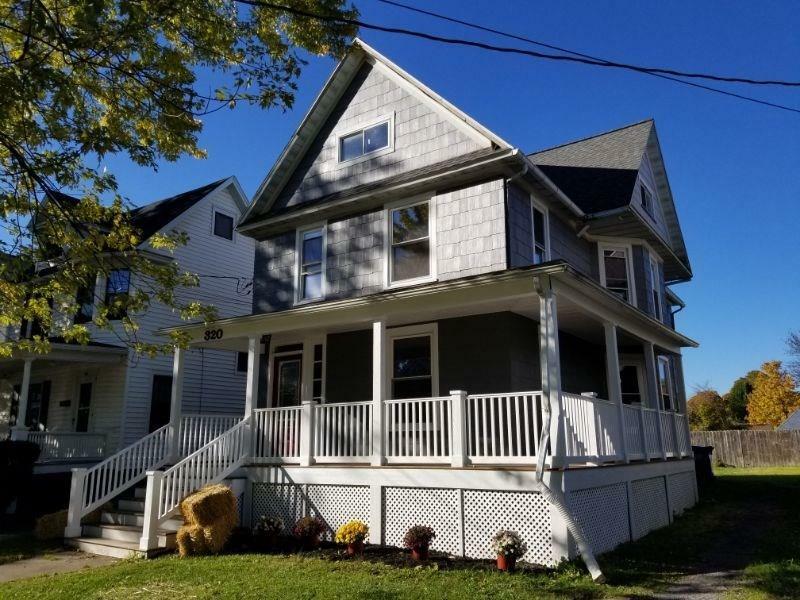 320 Washington Street, Geneva, NY.| MLS# R1157938 | Coldwell Banker Finger Lakes | 315-789-6768 | Geneva NY Homes for Sale, FINGER LAKES PROPERTIES, Seneca Lake, Cayuga Lake, All of the Finger Lakes. A beautiful 2 story traditional home in Geneva's Western Gardens Neighborhood. Conveniently located within walking distance to plaza and grocery shopping,schools,and multiple city parks. This 4 bedroom and 2 1/2 bathroom has been totally renovated for your living. 1st floor laundry, kitchen has tile flooring,tile back splash, stainless steal appliances,new kitchen cabinetry,and counter top,sink,lighting. All original hardwood flooring has been redone. Master bathroom has tile flooring and shower with glass doors. Large 4 bedrooms with closets, woodwork throughout (freshly sanded and painted), new electrical,upstairs sheet rock & insulation. A full size walk up attic. Great for extra storage or extra living. Relax on the front or side porch or on the back decking with your friends and family. A must see!! Call today! Open House Nov.10th @ 10am-12pm. Directions To Property: Head From Canandaiguia Head East On Routes 5&20 To Geneva, Turn Left Onto Pre Emption Rd. Turn Right Onto Washington St. Go Approx .08 Miles, Home On Left Hand Side. Nearest Cross Street: West St.